Four facts to know about how Kids' Food Basket relieves hunger as both a symptom and a cause of poverty by partnering with families and local organizations. 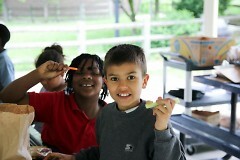 Kids’ Food Basket has been providing nutritious evening meals to children in Grand Rapids for almost 15 years. In the last four years, they’ve expanded to serving children in Muskegon and Holland as well, and currently serving more than 7,500 children a ready-to-eat meal every week night throughout the school year and summer. 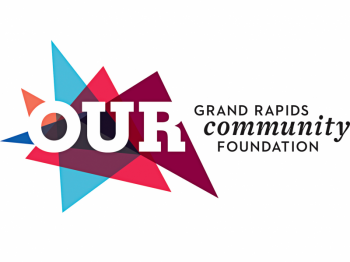 They’ve gained an incredible reputation as an organization that makes volunteering fun and accessible, and have won a host of awards, including Greater Grand Rapids Chamber of Commerce’s 2014 EPIC Award for Nonprofit of the Year, MiBiz’s Best Managed Nonprofit Award for Excellence in Fundraising, and the 2010 Governor’s Service Award for Volunteer Program of the year. 1. Kids’ Food Basket has programming beyond providing meals for kids. The organization has a unique focus on engaging and empowering youth in the attack on childhood hunger through their innovative Kids Helping Kids Program, operating on a strong belief that while 1 in 5 children may be affected by hunger, 5 in 5 have the power to help end it. Of the nearly 15,000 volunteers the organization sees each year, 33 percent are youth under the age of 18. 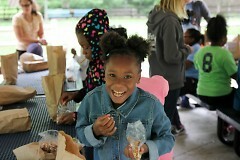 Last year, alone, Kids’ Food Basket facilitated over 500 volunteer opportunities with area youth. In 2015, with support from the Steelcase Foundation, the organization also developed a civic engagement lesson plan series that is currently conducted at the schools Kids’ Food Basket serves. After completing the lessons, many seventh grade students at Harrison Park School increased their leadership capacity, signing-up as volunteer readers for a summer reading program for elementary students, helping raise money for their school garden, and volunteering at Kids’ Food Basket. 2. Kids’ Food Basket has a Family Engagement Initiative to intentionally include families they serve as a partner in programming. Kids’ Food Basket’s Family Engagement Initiative continues to grow as they strengthen relationships with the families they serve. They believe their families have the inherent capacity and wisdom to affect change, and therefore are a vital partner in program service. Kent Schools Services Network (KSSN) remains an important partner and connector to families in schools. Kids’ Food Basket staff attends monthly Community School Leadership Team meetings at multiple schools and participate in events on a regular basis in the community, such as school carnivals, festivals, and neighborhood block parties. Because of this, the organization is seeing an increase in the number of parents of service recipients that volunteer to pack meals and feel welcome volunteering at Kids’ Food Basket. As part of their strategic plan, Kids’ Food Basket is actively creating ways to invite parent volunteers to join committees that help direct programming. 3. Kids’ Food Basket is passionate about sustainability. In 2010, Kids’ Food Basket moved its headquarters to a rental facility on Oak Industrial Drive. In renovating the space, they focused on LEED-certified materials and making their operation more sustainable. Kids’ Food Basket’s commitment to environmental-friendliness includes composting using local vendor, OrganiCycle, strict recycling practices, and using local vendors and produce farmers whenever possible. 4. Kids’ Food Basket is exploring educational programming initiatives. 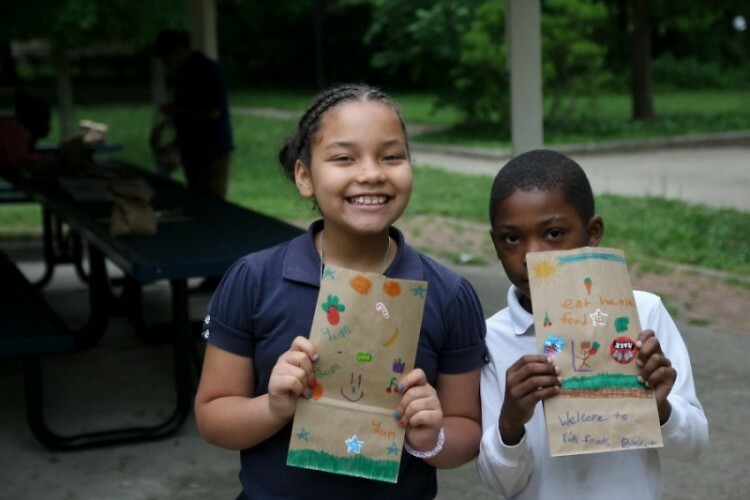 Partnerships with area farmers, school administrators, and service families have led Kids’ Food Basket to explore urban agriculture as a way to attack childhood hunger, and the organization added urban farming as a part of its 2015-2018 strategic plan. Kids’ Food Basket is still in early stages of learning about urban farming programming. Staff have been participating in educational sessions with Grand Rapids-based nonprofit Urban Roots at a learning garden installed at their headquarters facility on Oak Industrial Drive, and visiting food justice-driven farms locally and across the state, including New City Urban Farm, Earthworks, Forgotten Harvest Farm, Windy City Youth Farm, Growing Home, and The Plant.